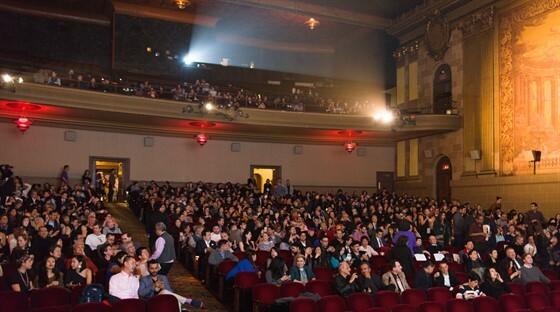 Your contribution to CAAM is a meaningful investment in assuring that we continue to showcase thought-provoking and compelling Asian American stories that illustrate the depth and complexity of the Asian American experience. Your donation will help assure that Asian American stories are told and that our voices are heard. Thanks to CAAM Board Members Christopher Au, Hanson Li, Naja Lockwood, and an anonymous board member, all donations received by December 31, 2018 and up to $11,000, will be matched. Donate today and your gift will have twice the impact. Your tax deductible gift would uplift more storytellers who represent the evolving American experiment now and into the future. If you have any questions about your donation, or would prefer that your gift be acknowledged anonymously. please contact Jennifer Chu at jchu [at] caamedia [dot] org or (415) 863-0814 x102.